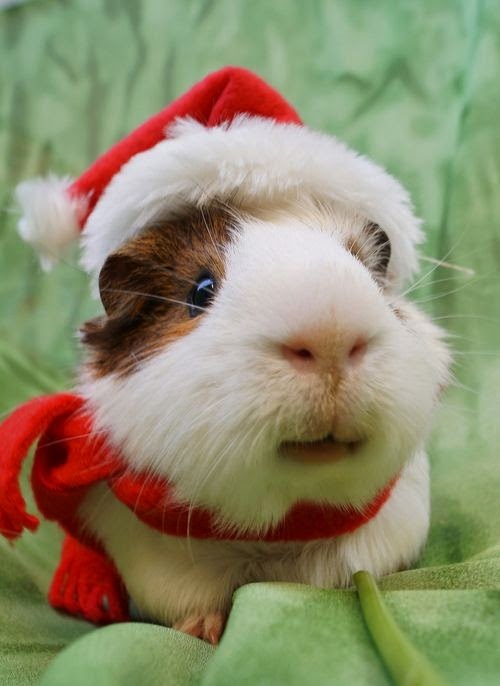 A festive Guinea Pig, you ask? Why the hell not! This month is passing me by in a flash - it's already nearing the end of the month and we're a week away from Christmas. I'll be honest, I'm feeling completely disorganised! Work is hectic, life is hectic, everywhere is hectic. BUT I AM SO EXCITED! I've been like a child lately...and played Christmas songs daily in my office. Nobody has complained yet so I think everybody's got that festive feeling! As always, I like to do a little recap of my Monthly Goals...mostly to remind myself to actually achieve these monthly goals... which I definitely need this month! Presents wrapped and under the tree by 14th December - Laughable! How did I ever think I was going to manage this?! I've got one present left to buy, one is almost organised and everything still needs wrapping. If somebody could give me an extra two hours in the day that would be great! Boring budgeting - Surprisingly this has entered my mind but I'm yet to whip up my boring 'I'm an adult and feel like I should be doing this' spreadsheet. One to pass over to my father I think! A Christmas bake each week - Really happy to have managed this! So far I've only blogged my Mince Pies but I have a few others to try and get in before Christmas! Let's face it though, Christmas equals all of December technically, so a few Christmassy bakes until we welcome 2015 is okay, right? SLEEP! - Again, laughable! I think everytime I set myself the goal of more sleep or a little bit of down time I go the complete opposite way and run myself ragged! Take this morning for example, I was in London last night for dinner, got back late and then couldn't sleep so got up, got ready and went to work an hour and a half early. Eager Beaver! At least Christmas is a week away and that gives me two days, maybe three, to laze in my pyjamas (these of course) binging on chocolate and various turkey-infused dishes. Have you finished your Christmas shopping yet? Are you also facing the daily struggle of healthy vs. eating the office biscuits/chocolates in their entirety? Tell me in the comments, we'll call it Christmas therapy!